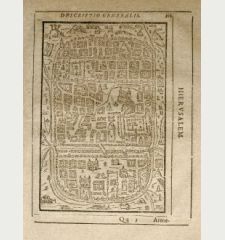 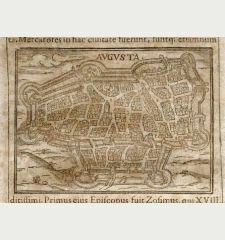 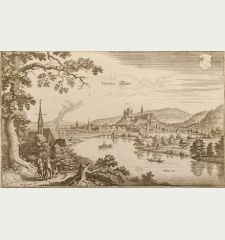 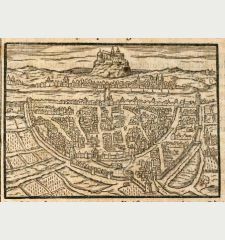 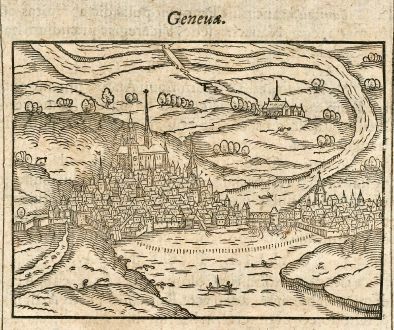 Antique woodcut town view of Geneve, Geneva. 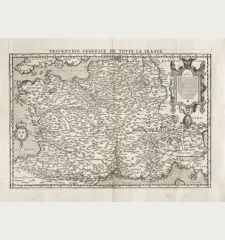 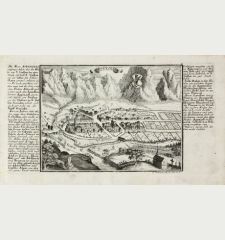 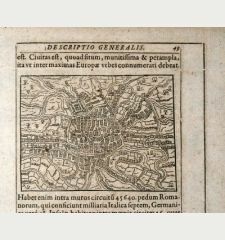 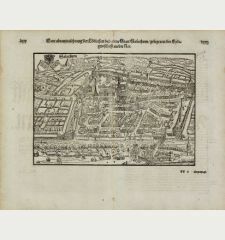 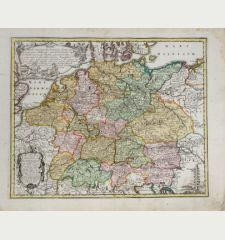 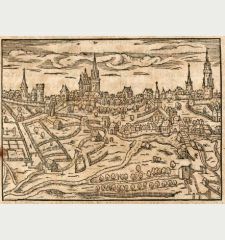 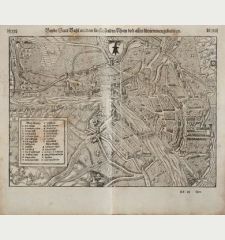 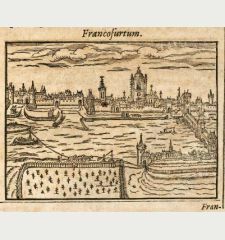 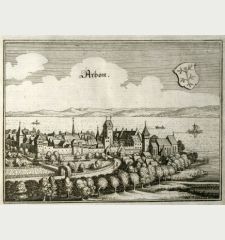 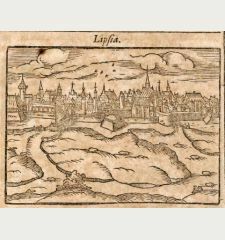 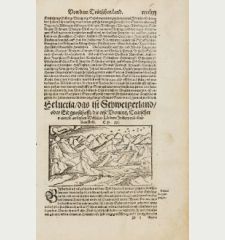 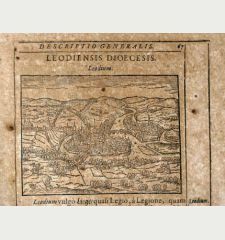 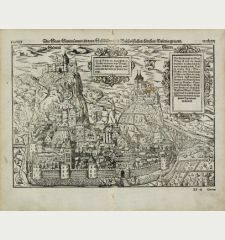 Printed in Frankfurt by W. Richter in 1608. 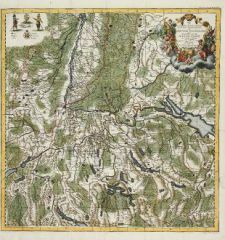 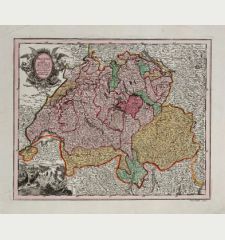 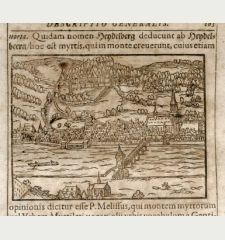 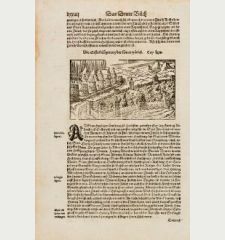 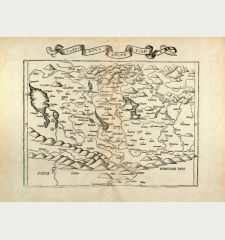 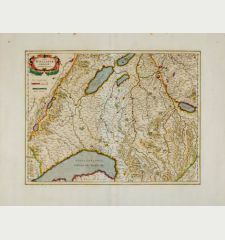 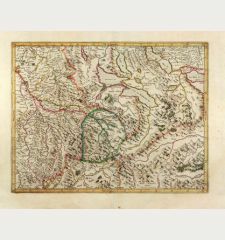 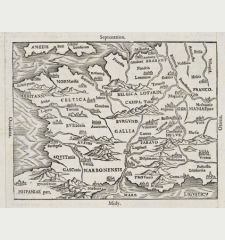 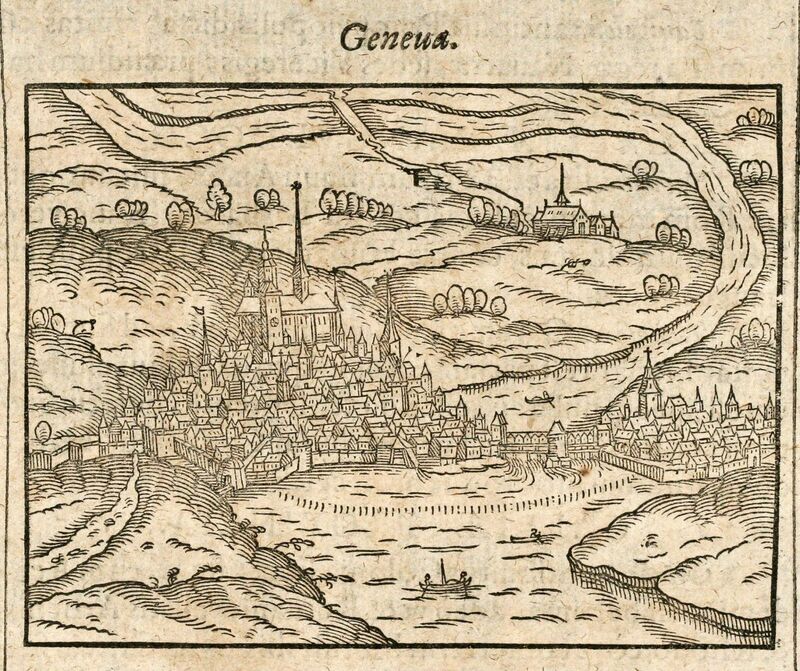 Nice rare woodcut view of Geneva / Genève at the Lac Léman (Switzerland) on a full text sheet. 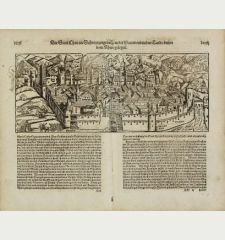 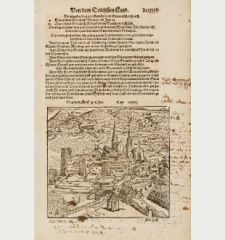 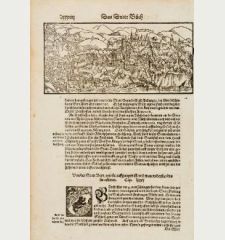 From "Parvum Theatrum Urbium sive Urbium Praecipuarum totius orbis Brevis & Methodica Descriptio" by Adrianus Romanus printed 1608 in Frankfurt. 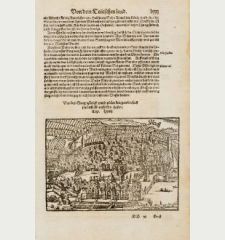 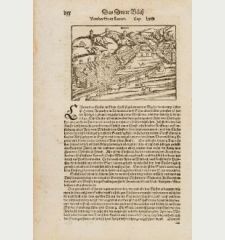 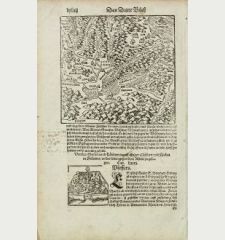 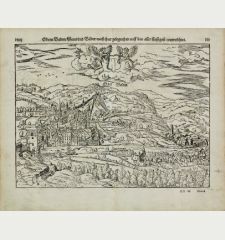 First printed 1595 with the same woodcuts by Abraham Saur published by N. Basse. 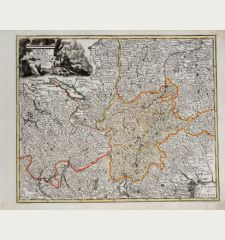 Minor age toning, fine condition.